Lenovo has revealed a new gaming family of laptops on the verge of CES 2017. Entitled Legion, the family currently includes two new systems, the Legion Y720 and Legion Y520, which offer varying levels of power and performance. The flagship of the new gaming-centered range is the Legion Y720, which can be kitted out with a 4K IPS, anti-glare panel and comes packing an Nvidia GeForce GTW 1060 GPU, Core i7-7700HQ CPU, 16GB of DDR4 RAM, a variety of storage options and, pleasingly, Dolby Atmos. Naturally, with that audio-video power Lenovo state the Y720 is built for VR. In addition, the Lenovo Legion Y720 includes a Thunderbolt 3-capable USB Type C port, three standard USB 3.0 ports, a HDMI port, a VGA ports, a DisplayPort and an audio jack. In terms of portable power, the Y720 comes installed with a 60Whr battery that, according to Lenovo, will grant you up to 5 hours on a single charge. The Lenovo Legion Y720 begins at $1,399.99 (£1,138.85) and will be available in April 2017. In comparison, the Legion Y520 has fewer features and spec options, however still can be outfitted with some tasty tech. Kaby Lake CPUs are a go, as too the same 16GB of RAM, however graphics are limited to a GeForce GTX 1050 Ti and, for its much lower price, naturally there is no 4K display on offer. There is also no Thunderbolt 3 support. The Lenovo Legion Y520 begins at $899.99 (£731.99) and will be available in February 2017. 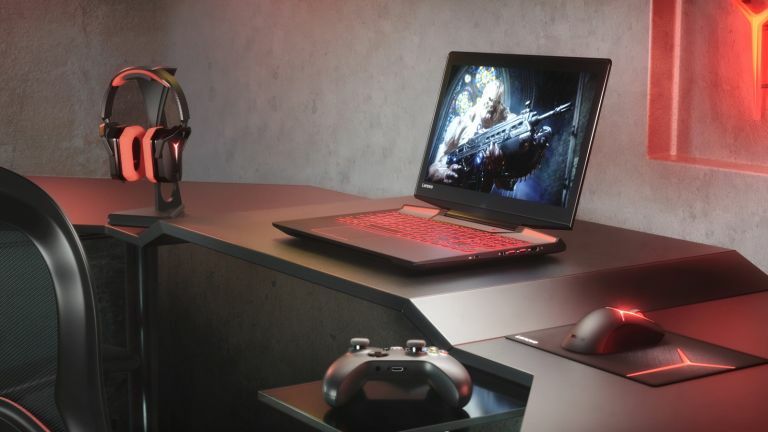 For more information about Lenovo's new Legion range of gaming laptops then head on over to the company's official blog.